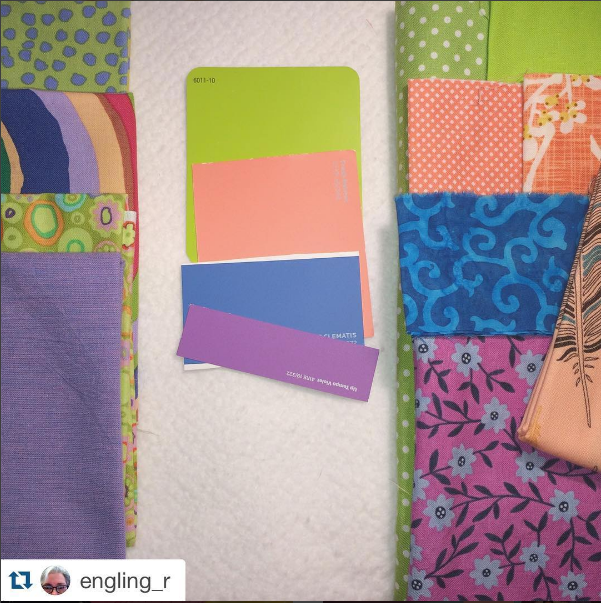 At our May meeting, we had the great pleasure of learning about color theory from Beth! Then we got to play an engaging, hands on game that helped us get out of our color comfort zones! 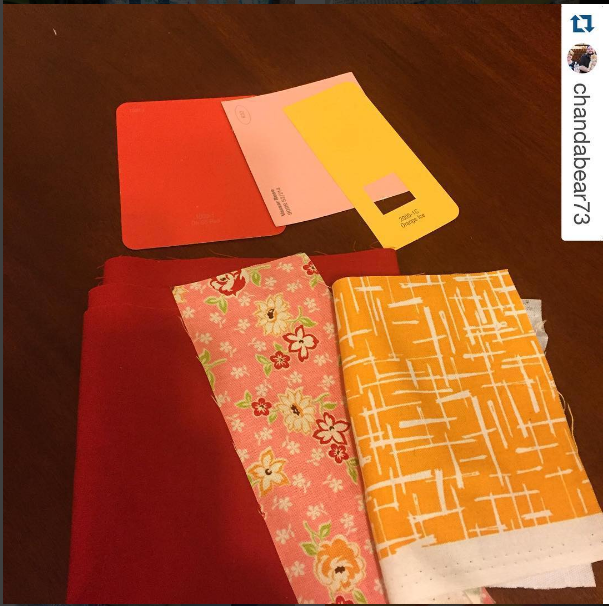 Everyone got to take home paint chips to create a new fabric bundle inspired by the activity. 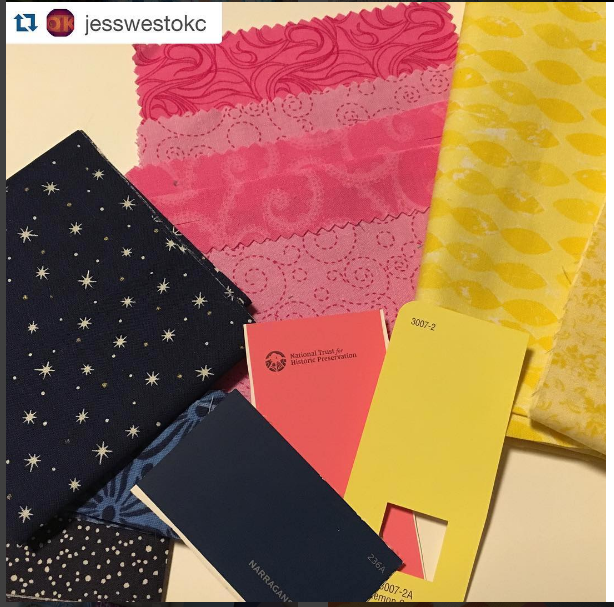 Our members have been sharing their creations on Instagram using hashtag #okcmqgcolor . Check out some of the beautiful ideas! Agnes has even taken her project to completion! Here is a link for some Radiolab podcasts on color. The first one is just a combination of the following three. Learn more about what I briefly covered about Newton, and more fascinating details about people with a mutated yellow cone and the linguistic emergence of color (red is always first, blue is always last). Find out what happens when a scientist never tells his daughter that the sky is blue. Here is the checkerboard optical illusion and proof that squares A and B are the same. Here's a pretty good video describing Sir Isaac Newton's prism experiemnts. 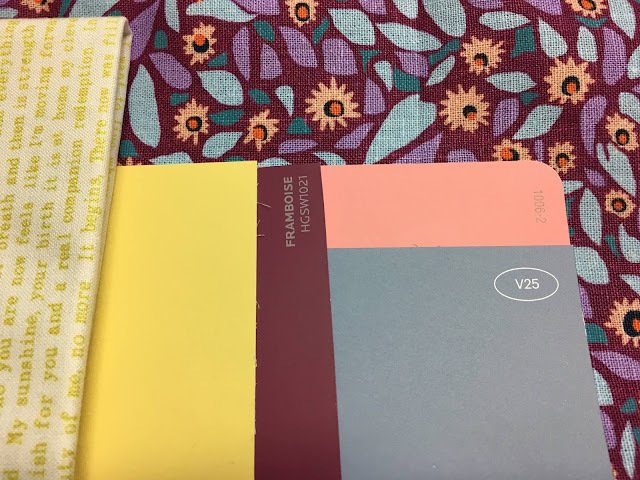 The paint chip and fabric translation exercise we did at the end of the meeting was based on Anna Maria Horner's Creativebug class called Creating Color Palettes with AMH. 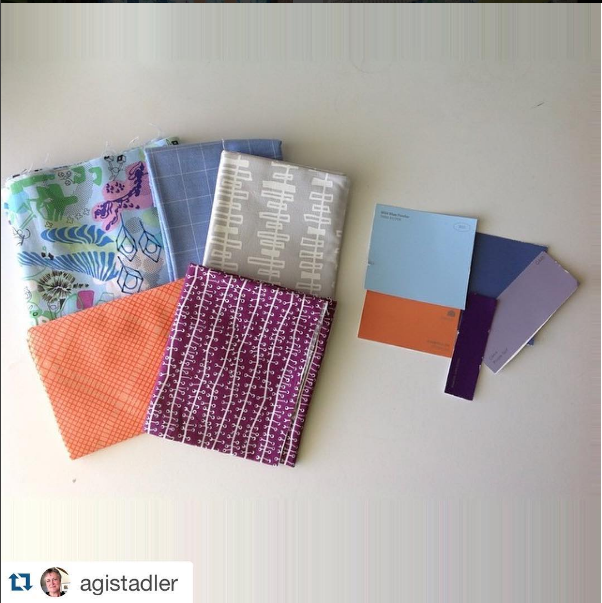 I think many of you are familiar with AMH's great fabrics. I loved this class because it is short (30 min) and embraces more wiggle room for combining colors. If you take this class (look for coupons to get a month or two free trial with Creativebug), and want more details, take Joen Wolfram's Craftsy class. The Color Play for Quilters Craftsy class by Joen Wolfram is about 2 hours covering paint mixing and extensive discussions about terms such as hue, tint, tone, shade, value, saturation, luster, luminosity, and more. Joen gives very rigorous and thorough explanations and often utilizes hand-dyed fabrics to precisely capture true tints, etc. Joen's class is based on the Ives color wheel and uses the 3-in-1 Color Tool. Check our wonderful LQS's, but here is a link so you know which product I'm talking about. This tool is the one with cards that flip out with many tints, tones, and shades, plus the green and red viewers to help with value. 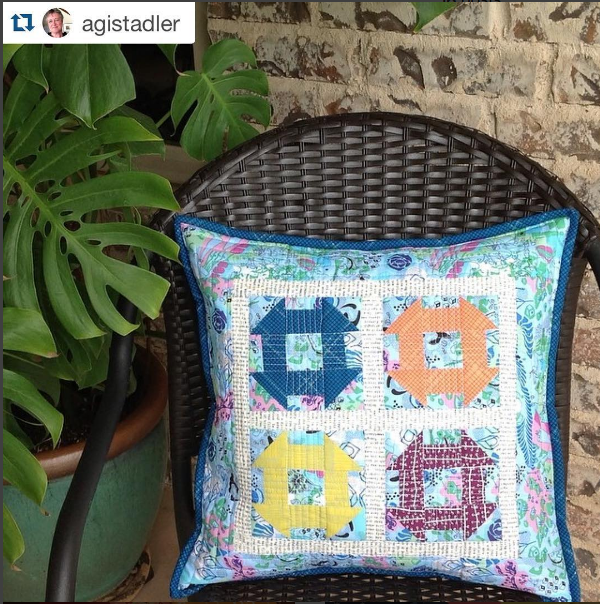 Heather Jones also has a Creativebug class called Color Theory for Modern Quilters. She's another quilter you may be familiar with and is a fan-girl of Josef Albers (the Bauhaus artist who wrote "Interaction of Color" and painted the series Homage to the Square). Weeks Ringle and Bill Kerr are a husband and wife quilting duo who have been making modern quilts for a long time. They have design backgrounds and bring a great aesthetic to their quilts. 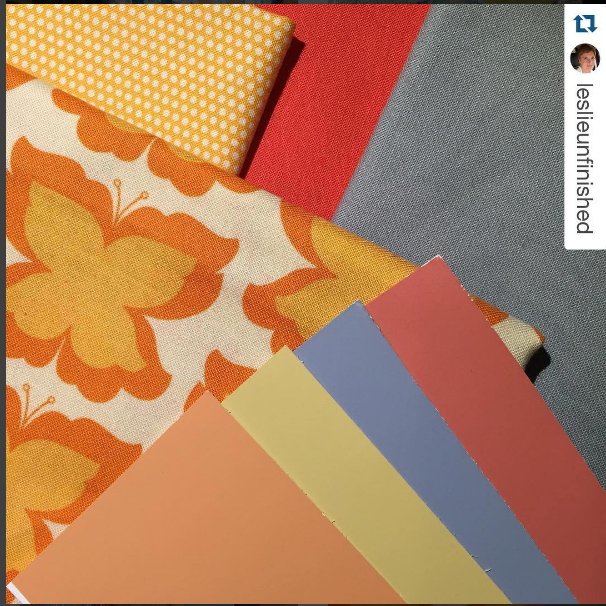 They have written many books on how to apply color theory to quilts, but I found a lot of overlap to their books. 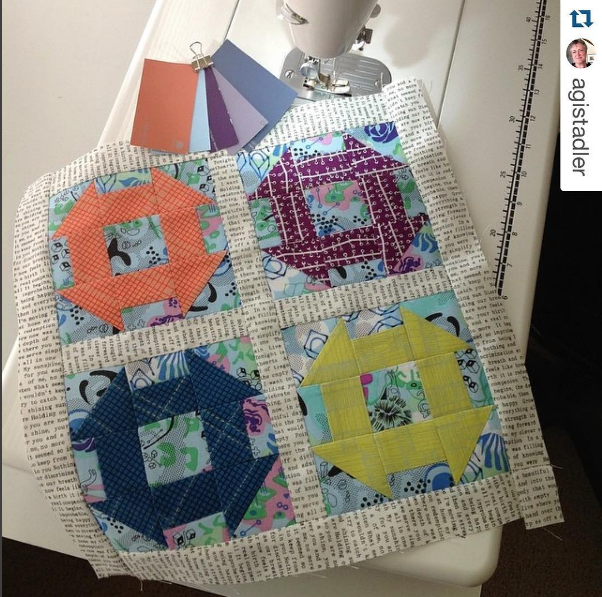 Of particular interest to our guild with the upcoming monochromatic challenge is their book "Transparency Quilts." Their books describe activities like picking colors while listening to music, which just didn't fit into our meeting format, but I thought would be interesting to try some time.